We recently got some time with Canterbury ambassador, Grant Gilchrist, Edinburgh/Scotland Lock, to ask him a few questions before the Rugby World Cup kicked off. 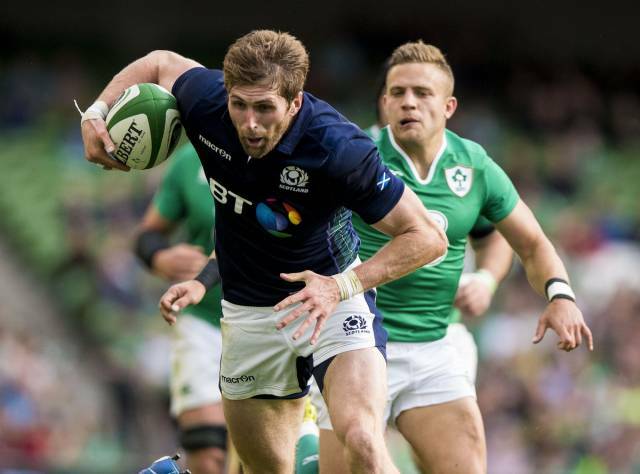 Read on to find out how intense the Scotland training regime has been, what he thinks the tightest fixtures in the tournament will be and why he thinks scrums are an integral part of the game. RS: What are some of your favourite Rugby World Cup memories as a viewer/fan? GG: I’ve always loved watching the Rugby World Cup, it’s the pinnacle of the game. Obviously, growing up, I always remember being excited about watching Rugby World Cups. Even in recent history as a 21 year old, you still get that buzz and that excitement when it’s your number one sport. It’s just the pinnacle. The excitement grew through the tournament as a fan as it does now as a player. Now in a position where I’m fortunate enough to be preparing for a world cup, which almost seems surreal, it is hugely exciting and I can’t wait for it to get going. 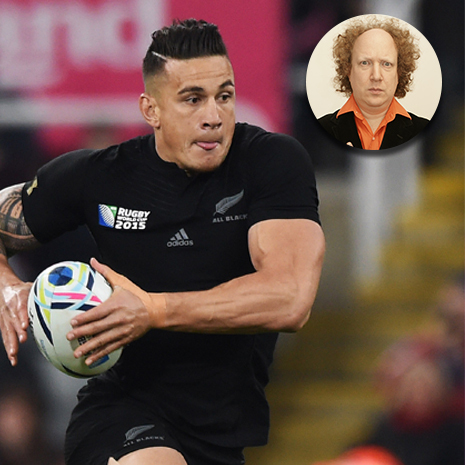 RS: How has training differed for the Rugby World Cup compared to other training? GG: This preseason has been really tough, we’ve worked physically really hard and you know the coaches have been putting a lot of pressure on us skill-set wise and on our attention to detail. We’ve always felt like we’re getting better and hopefully that’s going to show when we do get to the games. RS: A lot of people felt they saw that improvement in the warm up games. Do you feel like that as a team? GG: Well obviously we were just trying to keep improving our performance in the warm up games, that’s what they were, they were warm up games, we’ve done nothing yet, they count for nothing but our performances are heading in the right direction. They were warm up games, we’ve done nothing yet, they count for nothing but our performances are heading in the right direction. We had things we wanted to improve on, that we wanted to get better going into the Rugby World Cup and things are certainly heading in the right direction. It feels like a good place to be. RS: What do you think will be the tightest fixture in the Rugby World Cup? GG: I think obviously the ‘Group of Death’ as they call it is the one that could go anyway. Having England, Australia and Wales in one group, Fiji will fancy their chances of taking a few scalps, that’s going to be the tightest group and certainly and you wouldn’t want to bet on who will be first and second. RS: You think Fiji might cause some upsets then? GG: I think they’ve shown in the last few games that they are a dangerous side and they’re going to fancy themselves. Obviously it’s a tough ask for them because the Tier 1 nations are going to still going to feel it’s their game to win but I wouldn’t be surprised if they pulled off a couple of good results. 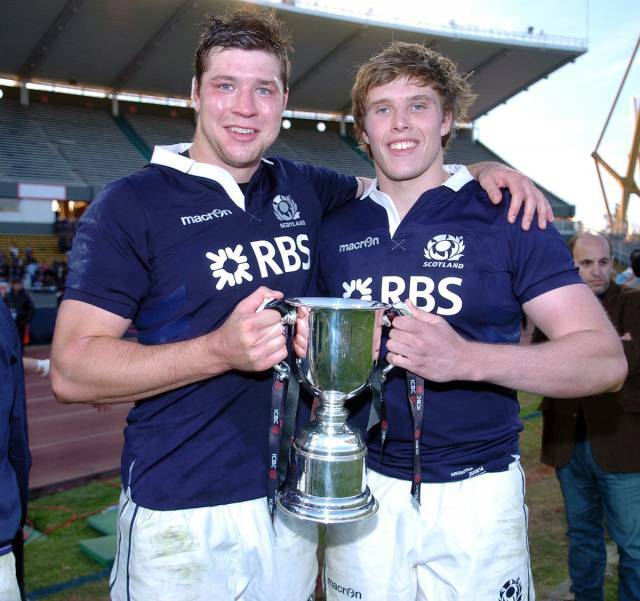 Grant Gilchrist and fellow lock Jonny Gray celebrate victory over the Pumas. RS: What about your group? What Scotland fixture are you most excited for? GG: Any fixture that I’m playing in is going to be a massive occasion to be involved in a Rugby World Cup. I think the first two games are huge for us, we’re not underestimating Japan or the USA (Certainly won’t be now) they are both much improved teams. Obviously the latter two games maybe stand out on paper but we’ve been looking into Japan and USA quite a lot as it’s the opening of our tournament and they’ll be really difficult Test matches for us. We’ve got to concentrate on those. Saying that, South Africa, being the team that they are, is a massive game. RS: Have the Scotland team and coaching squad taken anything away from the recent Argentina win over South Africa? GG: South Africa have obviously been beaten a few times in recent history so it’s good to look at the ways teams have done well against them but in the same instance, we have to do our own thing against them. You can look at certain things but mostly it’s going to be how we perform on the day. In a Rugby World Cup it’ll be different as they’ll be at the very top of their game I’d imagine. RS: The other home nations have a minimum of 4 domestic teams to pick from. Do you think there are any advantages for the Scotland side drawing from a smaller pool of domestic teams? GG: I think the union is suited to two, I’m not sure we have enough of a base to go for more than that. They are combinations we can do at club level that can be then brought up to international level and there is certainly positives in that. Glasgow had a great season last year and at Edinburgh we made a lot of improvements as well, getting to the Challenge Cup Final for us was a big deal and Glasgow winning the league was massive. It’s good to see our club teams doing well and if we can use their combinations then it is going to help. RS: What do you think of the Scotland kit from Macron? GG: Everybody likes it, it’s simple but I really like the tartan, it’s a bit different. It’s not wild, it still looks like a Scotland jersey. The new Scotland kit has been popular with players and fans alike. RS: What part of the game do you wish fans knew more about? 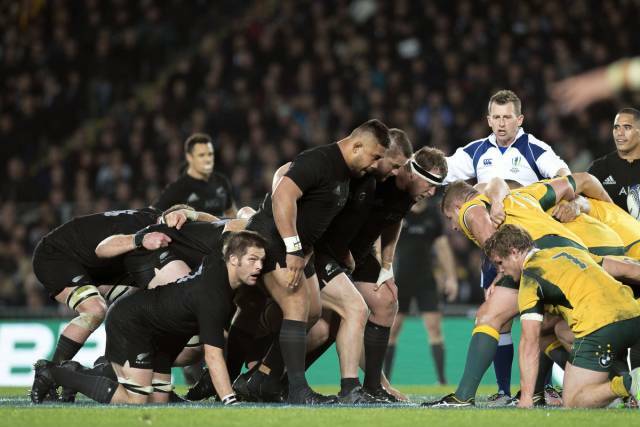 GG: The ugly side of the game, rucking, mauling, scrummaging. The hard work. GG: It’s hard, there is a lot of technical things going on. People maybe say “aw you should get rid of scrums” but it’s a massive part of the game. People that just dismiss it sometimes and say “Let’s just start the game again”, I’d disagree with that that. People that just dismiss it sometimes and say “Let’s just start the game again”, I’d disagree with that that. I’d say if you can get a good scrum you can win a game on the back of it and likewise if you’re scrum is struggling you could have the best team in the world but you’ll struggle through the game. It makes such a big difference and it’s so confrontational, you know a one on one pushing contest, it would be shame to see that lost in the game. RS: What packs do you think will be best at Rugby World Cup? GG: There’s a few that are going to be up there. The South Africans are a massive pack and they fancy themselves at the set piece. England as well have a strong pack, New Zealand are obviously in there… There are just so many good packs in the tournament. RS: So will this tournament be the peak of your rugby career so far? To play in a world cup is the stuff of dreams. My family are going to wait and see what games I’m involved in then travel down, it’ll be great. Scotland are in Group B with South Africa, Samoa, Japan and the USA. Their first game in the tournament is against recent Rugby World Cup history makers Japan, on Wednesday the 23rd of September. Grant Gilchrist is on the starting XV for the team. Find Everything Scottish Rugby here.